When a loved one is addicted to Ecstasy it can feel like a challenge to know what to do or where to go. Learn more about some of the best treatment options for ecstasy addiction to help a loved one who is struggling. MDMA (3, 4-Methylenedioxymethamphetamine) was first synthesized as an appetite suppressant and emerged in America when a psychotherapist attempted to use the drug for therapeutic treatments like marriage counseling. 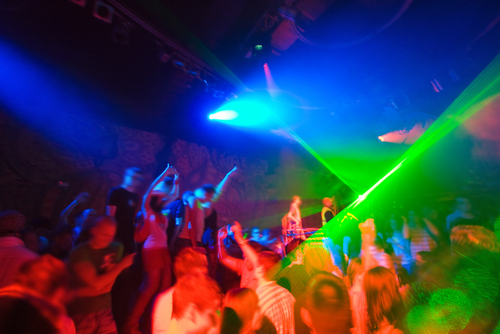 Known as a ‘club drug,’ MDMA or Ecstasy is plentiful in raves, house parties, college dorms and other recreational spaces. The psychoactive drug MDMA delivers unique effects such as euphoria and distortion of senses and time. The side effects of MDMA usually peak within the first hour to an hour and a half after taking the drug. Most side effects consist of desirable and undesirable conditions based on short and long term usage. Other frequent risks of MDMA use include overdose consisting of loss of consciousness, panic attacks, faint feelings, hypertension and seizures. Detox is likely the first step to helping a person addicted to MDMA. Due to the undesirable effects many people find it hard to quit using MDMA for long periods of time. Professional help is advised to help ease the process of detox. General treatment of detox requires constant hydration to fight the effects of the drug. No accepted pharmacological substitute exists for treatments of MDMA dependence. Some drugs have medically acceptable alternatives to be used but ecstasy does not and requires professional support and supervision to be successful. Rehab is effective for individuals who take time to attend treatment for addiction to MDMA. Most addiction problems facing teens occur due to abuse of drugs such as marijuana, ecstasy and cocaine. In a qualified rehab center, a person with addiction will have access to a structured environment, balanced nutrition, exercise, support groups and therapeutic intervention. Most people will learn adaptive skills to deal with triggers, build coping mechanisms and modify thought patterns and beliefs with the help of cognitive behavioral therapy (CBT). Hired Power helps individuals recover from the ravages of addiction. If you are struggling with addiction to substances, call us to find out how we can help you get back to health and happiness.